The overall shape of the fronds was like that of a lady fern (Athyrium filix-femina), but they seemed different in some way I could not put my finger on. Upon looking in my books, the most likely alternative seems to be alpine lady fern (A. distentifolium). I am not sure whether one of these is correct, or if it is something else. 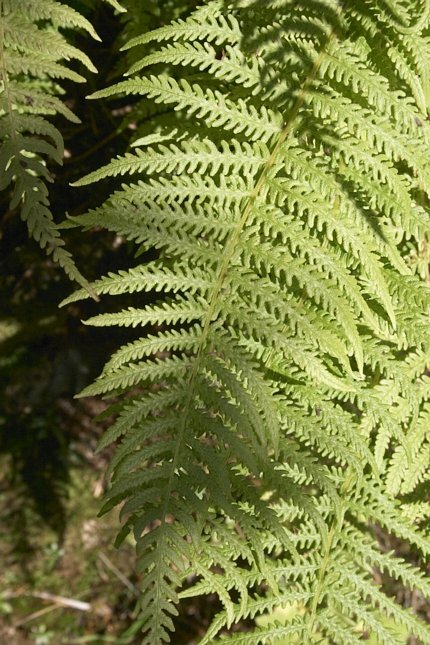 If you can help me identify this fern, please e-mail me using the link at the bottom of the page.